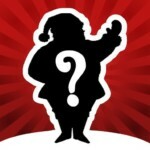 Just wanted to take a quick second here to say a MERRY CHRISTMAS to all of our iPhoneinCanada.ca readers! It’s been another year and I would like to say thanks to each and every one of you for reading and supporting the past and previous sponsors of this blog! Today is Christmas, so we’re all going to take a time out away from the blog to spend with friends and family. You should do the same (please put down that iPhone for once!). On behalf of the entire iPhoneinCanada.ca team (Rory Piper, Dusty aka the iPhone Forums King, and Nick Hesson), thanks and hope you enjoy your day! Thank you for actively supporting the iPhoneinCanada.ca community. Without you, this blog would be only words and a website. This community is so wonderfully passionate about everything that we discuss and I hope everyone has a happy holiday and gets some well deserved rest. Your regularly scheduled blogging will continue soon.